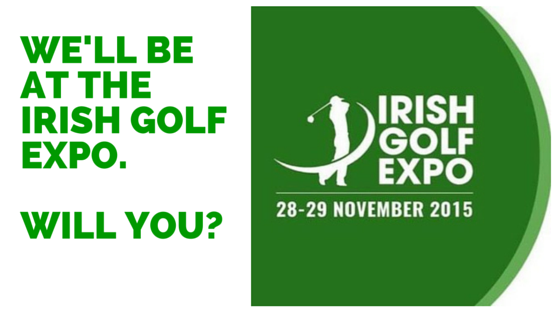 We’ll be at the Irish Golf Expo 2015 – will you? The must-attend golf event of the year is just around the corner and we’re very excited to reveal that we’ll be returning to exhibit once again this year. The Irish Golf Expo, which is Ireland’s largest golf show and exhibition will be hosted at the impressive Eikon Complex in Balmoral Park Lisburn on the 28-29 November 2015, and we hope to see you there as we’ll be attending on both days. Pop by our stand and say hello – there’ll be lots of opportunities to talk to our footwear experts about our latest range of luxury shoes, and treat yourself to a new pair for looking great off the green., and can’t wait for some of the key highlights of the show including the world’s number one trickshot maestro David Edwards, an indoor driving range, workshops from Ireland’s leading golf experts, and of course we’ll be there too. The profile of golf in Northern Ireland is at an all-time high, thanks to home grown legends Rory, Darren and Graham, and this interactive exhibition will be the icing on the cake for all those golf-enthusiasts out there (including us!) Will you be one of the 10,000 visitors expected to attend? We hope to see you there!